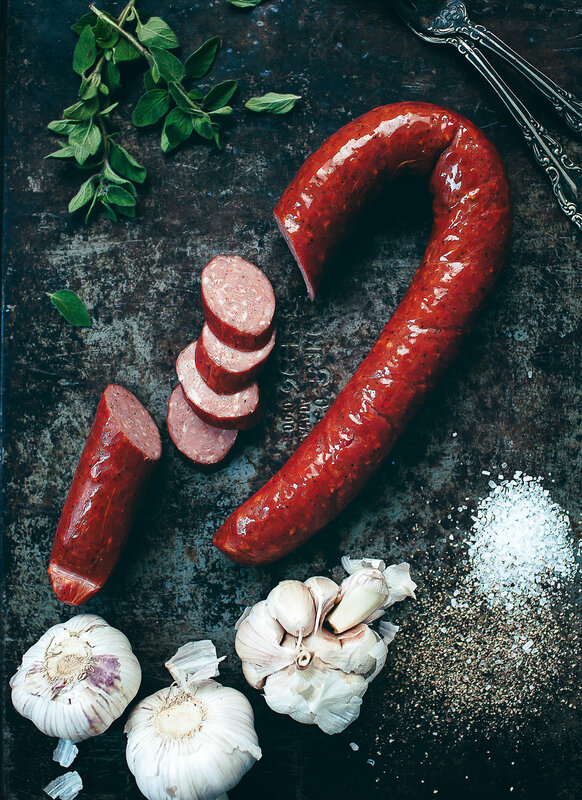 Classic Sausage — Range Road Meat Co.
We all love great food. Living life on-the-go it’s difficult to find time to prepare a gourmet meal so we decided to helpby reinvigorating the Ready-To-Eat sausage.We place a huge emphasison premium quality and simple ingredients because our desire is to do sausage betterand healthier. This Classic variety pays tributeto Eastern Europeans who migrated to Canada enhancing our lives with the beauty of their traditional smoked sausage. Pork, water, spices, sea salt, garlic, onion powder, cane sugar, cultured celery powder, smoke.